Home » WOD Blog » Naughty or Nice? Notes: The workout is performed like the song “12 Days of Christmas”. 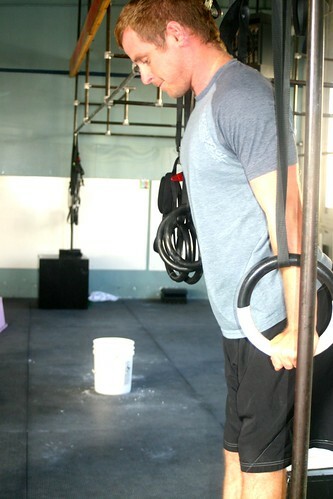 1 Bar Muscle up…2 Wall Climbs, 1 Bar Muscle up….3 Handstand Push ups, 2 Wall Climbs, 1 Bar Muscle up,……etc. Choose a scale that you can perform quality movement with! Theeeeere’s the gymnast…You can thank this guy for today. What could be better than Christmas in July!?? The “12 Days Wod”, a staple among crossfit gyms in December, has many variations that tend to be long grinders. While we have allotted plenty of time for today’s version, the goal is quality over time. Try and move methodically and deliberately through each segment and remember gymnastics is about body control. Be purposeful in your scaling as though working on prerequisite strength is the key to performing more complex movements down the road. Because it is! Keep the integrity of the movement high, have fun and enjoy your little “gift”.